These research projects are currently underway in my laboratory. I also have a number of other ‘minor interests’ ongoing too. If you are interested in any of these, or related projects, please don’t hesitate to get in touch to discuss it. Root Knot Nematodes of the genus Meloidogyne are some of the world’s most important crop pathogens. The genus contains a wide range of reproductive modes, with repeated transitions between some reproductive modes. This raises interesting possibilities to investigate the genomic consequences of the loss of meiotic recombination. 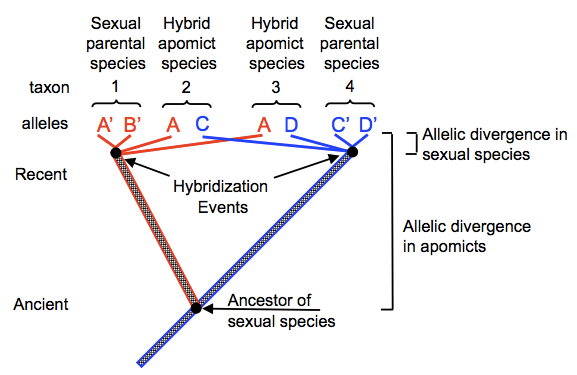 I recently showed using DNA sequencing that several mitotic parthenogen species are the result of an interspecific hybridization event, and I am now investigating the genomes of parent (meiotic) and offspring (ameiotic) species. I am particularly interested in the effect on loss of recombination on transposable elements, mutation rate and genome structure. Since the RKN have smal genomes there are many possibilities for comparative genomic investigations of genome content in a phylogenetic context. We are studying gene copy number variation (CNV) in adaptive radiations of cichlids. A fundamental question in biology is what type of genomic changes underlie local adaptation and species radiations. Cichlid fish radiations in the African Great Lakes show extraordinary levels of speciation and ecological diversification compared to their close riverine relatives. Despite a large research effort, the functional genetic variation underlying this ecological diversity is still unclear. In collaboration with Suzy Renn at Reed College, and Domino Joyce at Hull, we are investigating the contribution of gene duplication – an important factor underlying the generation of gene function novelty – to these cichlid radiations. This is part of a larger research program into the evolutionary forces and processes shaping genomic novelty. We are interested in studying the content and nature of change of animal genomes. We are examining the distribution of various genomic features in a comparative phylogenetic framework to detect changes in pattern and process. The distribution of intron density, size contraints, sequence composition, and gene family evolution is currently being studied by Steve Moss. Software pipelines for evolutionary comparative genomics are also being produced. With Dr Darren Evans I am investigating the application of modern molecular tools to investigate agricultural food webs. 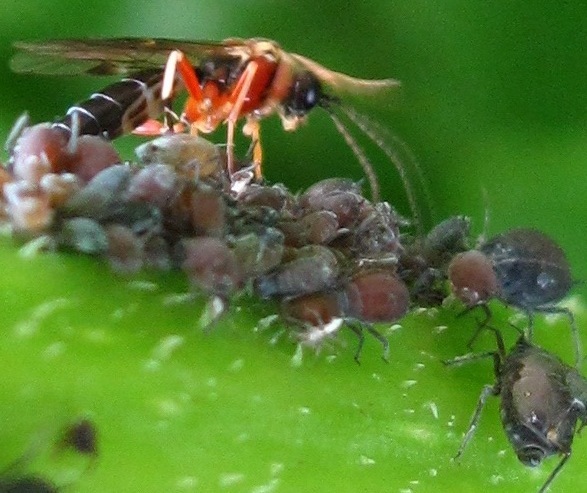 In particular I am interested in parasitoid wasps and their interaction with leaf miners and aphids.